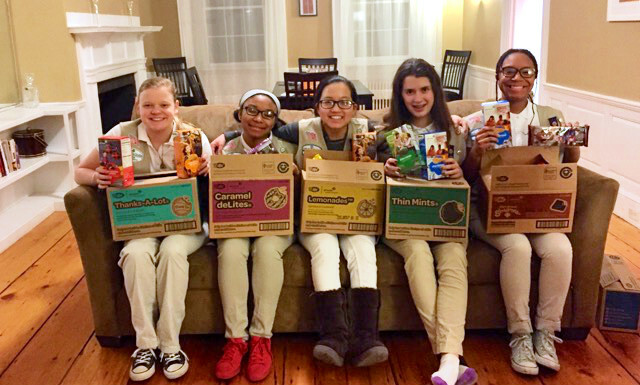 It all started in 2011—Boston troop 79258 was excited to earn cookie sale incentives like iPads and computers. With guidance from cookie mentors and troop volunteers, the girls reached their sales goal. As they started to use their earnings to fund activities and trips, the socioeconomically diverse troop decided that all cookie and fall sale proceeds earned by any of the girls individually would be used for all troop members, and that all girls would participate in the sale. While visiting the Girl Scout Museum in Waltham with their troop leader, Sue Buta, the girls learned about international Girl Scout properties. The idea of traveling overseas took root and began to flourish. To prepare for an overseas trip, the girls first traveled to Girl Scout founder Juliette Gordon Low’s birthplace in Savannah, Georgia. They created a budget, planned the trip, and learned how to make reservations. They traveled by train, explored Savannah, and participated in activities at Juliette’s birthplace, making great memories every step of the journey. Then, the girls conducted research and agreed on their overseas destination: Our Chalet in Switzerland. 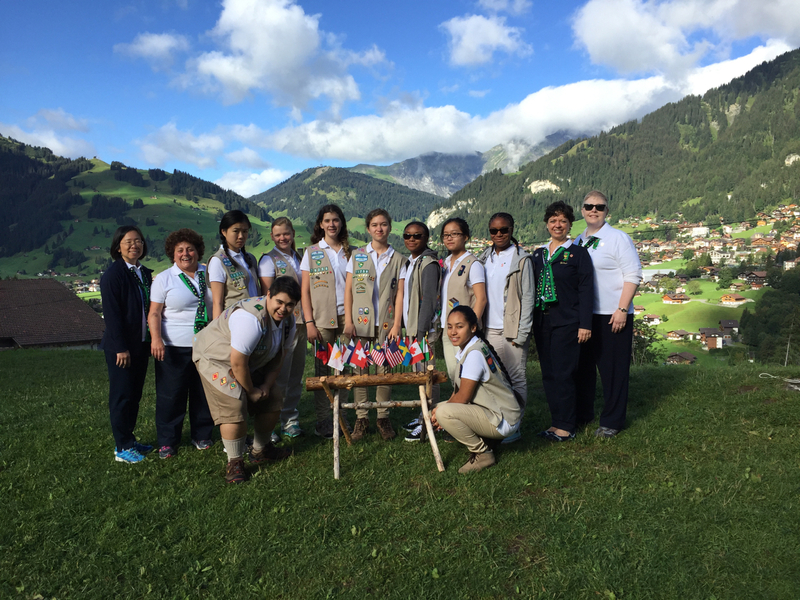 They knew they needed to take their cookie sales above and beyond to fund the trip, and during the 2015-16 cookie season, the troop sold 13,668 packages of cookies, making them the top selling troop that year! Including their savings from past years, the girls had earned enough money—nearly $32,000—to fund the full cost of the trip for all 13 girls and volunteers, staying true to their “all in” policy. The girls had amazing adventures and experiences in Switzerland. They went white water rafting, zip lining, hiking up Mount Nisson and more. They learned about Swiss culture and met new friends from all over the world. “We are a tight troop with a special relationship,” the girls agreed after coming home. What an amazing accomplishment—we are so proud of these go-getters! wow, the activity is interesting..